Andreas Hougaard Laustsen receives funding from the Novo Nordisk Foundation (NNF16OC0019248). Snakebite is a major public health burden for low-income countries in tropical parts of the world. There are around 5 million bites and 150,000 deaths every year. And about 400,000 victims become permanently disabled annually. 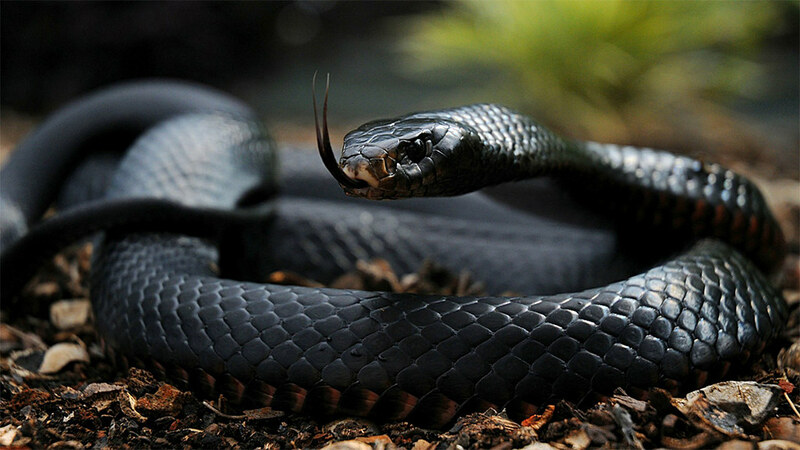 In Africa, the most notorious of snake species is the black mamba (Dendroaspis polylepis). It is feared for its potent rapid-acting venom and its characteristic feature of typically striking more than once. The problem is that it always injects venom in its bite. So a bite from this species has an almost 100% fatality rate if left untreated. Other venomous African snake species that pose a danger to humans include other mambas, cobras, puff adders, boomslangs, and a range of vipers. Treatment against snakebite venom is currently limited to antiserum derived from animals. There have been incremental innovations in the manufacture of antivenoms. But most are still produced using methods developed 120 years ago. Current antivenom production involves immunising animals, like horses or sheep, with venom milked from snakes and then isolating antibodies from the serum. The process is expensive and labour intensive. A combination of these factors and a difficult market environment has some led commercial producers to withdraw. As a result, current stocks of functional antivenom will soon expire. The situation is so bad that experts and NGOs active in the field refer to the lack of antivenom – particularly in sub-Saharan Africa – as a neglected health crisis. But there is hope on the horizon. Innovations in biotechnology being used to produce pharmaceuticals for other treatments could also be applied to producing antivenoms. These would be made in laboratory conditions rather than extracted from animals. We have been exploring various avenues to produce antivenoms based on mixtures of antibodies, rather than having them derive from animals. This is a scientifically and commercially sound opportunity that promises to bring the shortage of snakebite antivenoms in sub-Saharan Africa to an end, not immediately but certainly in the medium to longer term. Innovations in biotechnology can make antivenoms more cost-effective and easier to produce. They can also be made more effective against snakebites. Alternative avenues, already established within biotechnology, could be pursued to create novel ones. These have the potential to improve treatment against snakebite and lower cost of production. Lower manufacturing costs would make it profitable for pharmaceutical companies to bring low cost antivenoms to the market. It could even provide a financial incentive for antivenom manufacturers to distribute antivenoms to rural parts of the tropics. One established method that could be adapted is the use of DNA immunisation techniques. This would do away with laborious venom extractions. This technique would involve immunising horses with toxin-encoding DNA, inducing immunisation (similar to the effect that venom itself provides). This technique has been investigated in various animal models and may enable venom-independent antivenom manufacture in the future. But we are following a different avenue. We are pursuing the replacement of the active components (antibodies) in the animal-derived antivenom with recombinant human versions – antivenoms produced by cell cultivation in biotechnological production systems. This method, producing pharmaceutical products through cell cultivation in fermentation tanks, has been developed and perfected over the last 30 years. It’s been used to produce a range of pharmaceutical products like blood factors and human hormones such as insulin. Future recombinant antivenoms could be based on mixtures of human antibodies. These antivenoms would be more compatible with the human immune system, limiting the incidence of adverse reactions. The concept has seen success in ZMapp, a medication used to fight Ebola and therapies involving oncology based antibody mixtures. A recombinant antivenom would also be more effective. This is because current antivenoms contain a large fraction of therapeutically irrelevant antibodies. These are generated by animals’ immune systems to fight a range of bacteria and viruses. A recombinant antivenom, based on a mixture of human antibodies, would be designed in a way that the antibodies would be specifically selected to target the most relevant toxins in snake venom. Therapeutically irrelevant antibodies not targeting snake toxins would be absent. But, wouldn’t this be exorbitantly expensive? Not at all. Our estimates show that recombinant antivenoms would be a cost-effective solution to the snakebite crisis. They could be used to treat an average snakebite case in Africa for $30-$150 per treatment compared with the current cost of well over $500. Recombinant antivenoms are still under development. They are unlikely to be on the market for about a decade. More focus and resources are needed to accelerate the discovery and testing of toxin-targeting antibodies of human origin. We hope our efforts will help catalyse this process and shorten the time in which more effective – and less expensive – antivenoms reach clinics.